This sizzling hot Korean ginger beef fresh from the grill is a joy unparalleled. 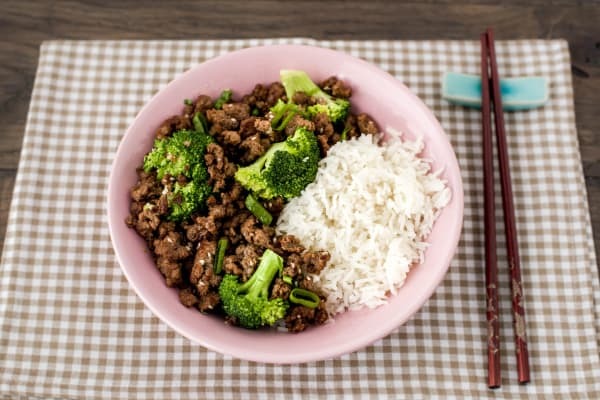 Delicious marinated beef and a sprinkle of bitey spring onions and sesame seeds bring a brilliant twist to the weeknight dinner staple of beef mince. 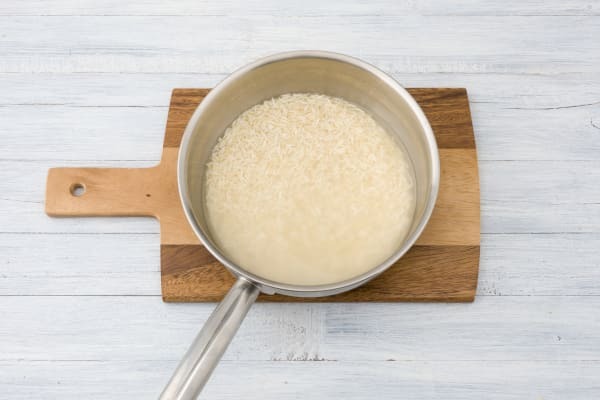 Place the water (for the rice) in a medium saucepan and bring to the boil. Peel and finely grate the ginger. Peel and finely grate the garlic. Cut the broccoli into small florets. Finely slice the spring onion. Grate the pear (unpeeled) and squeeze out any excess moisture. In a large bowl, combine the salt-reduced soy sauce, brown sugar, ginger, garlic and the sesame oil. 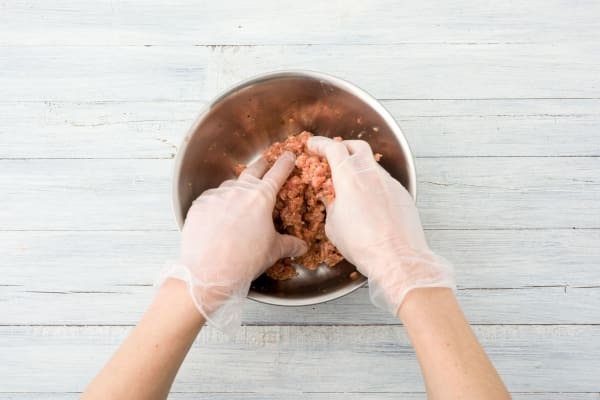 Add the beef mince and massage the soy mixture into the mince using clean hands until well coated (pop on some gloves, if you like). This sauce is a staple in Korean-style dishes commonly served in restaurants. It’s simple to prepare as the base is made of commonly used pantry staples such as soy sauce, sugar and sesame oil. If you have time, set the mince mixture aside for at least 15 minutes to marinate, this will enhance the flavour and increase tenderness. Meanwhile, rinse the Jasmine rice and add to the medium saucepan of boiling water. Reduce the heat to medium and simmer, uncovered, for 10-12 minutes. Add the broccoli and cook for a further 2 minutes, or until the Jasmine rice and broccoli are tender. 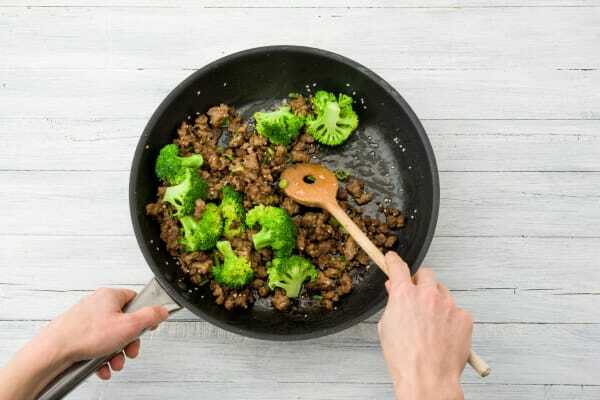 Remove the broccoli with tongs or a slotted spoon and set aside. Drain the Jasmine rice. Heat the vegetable oil in a large frying pan over a high heat. Add the beef mince to the pan and any excess marinade from the bowl and cook, breaking it up with a wooden spoon, for 3-4 minutes, or until browned. Stir through the spring onion, grated pear and sesame seeds and cook for a further 1-2 minutes until tender. Stir through the broccoli florets. Remove from the heat. 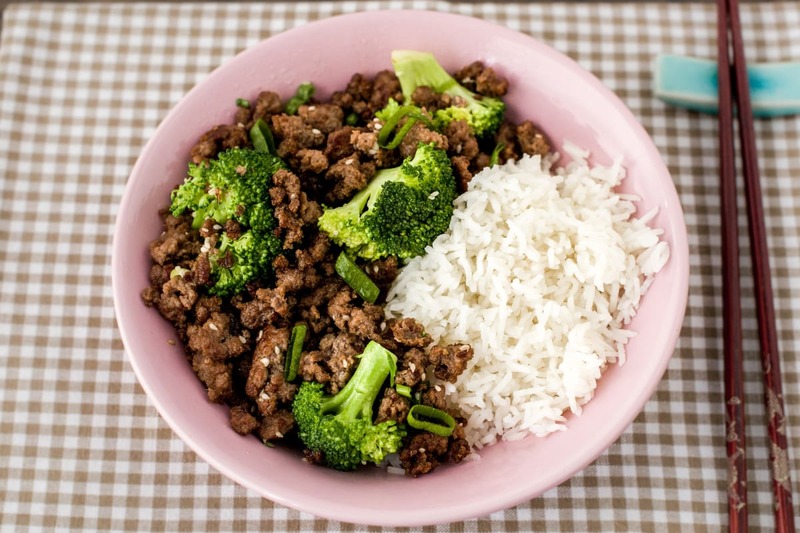 Divide the Jasmine rice between bowls and top with the Korean ginger beef. Dig in! Enjoy!